We know how important it is to deliver the right part – and keep on getting it right. 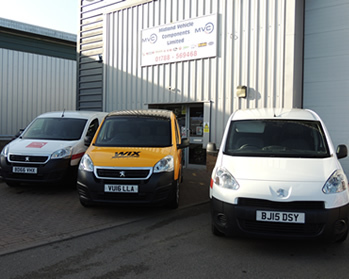 Midland Vehicle Components or locally known as MVC has been trading since May 2000 from our Head Office in Coventry. We are experts in the supply of vehicle parts to garages, workshops, car and van dealers, and road haulage operators and to the general public. Having firmly establishing ourselves as the area’s leading Motor Factor we opened a further branch in Rugby in September 2007. We are now covering the areas of Coventry, Hinckley, and Nuneaton from our Coventry branch and Rugby, Lutterworth and Daventry from our Rugby Depot. This has further increased our delivery network to our Trade customers. We aim to provide the best service to all of our customers. We are always improving our stocks and regularly add in new to range lines so we can be your No1 stop for all your Car & Commercial parts needs. 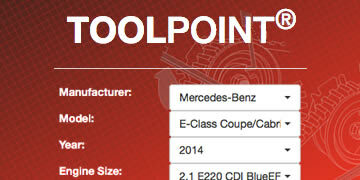 Browse through our reliable and up-to-date automotive technical documents from the market's leading brands. Did you know? You don’t have to use a franchised dealer when servicing your vehicle. Need some help? Find the right Engine Timing locking tool for your car. Yuasa are a leading manufacturer of batteries to the automotive industry. Their batteries cover over 90% of all commercial, leisure, and marine applications. Using the battery finder, Midland Vehicle Components can supply the right battery for your vehicle, just select the category, and enter your registration number. Once you've found the battery for your vehicle, just give us a call, or drop us an email with the part number, and we'll have it over to you in no time! Midland Vehicle Components was founded in 2000 and has since developed into Coventry & Warwickshire's leading aftermarket parts wholesaler of car and commercial components. We are a member of the IFA which is one of the UK’s largest Motor Factor buying groups. This enables us to be very competitive but also at the same time supply a top quality product to our customers. As of 1st January 2013, the IFA became a Partner of Auto distribution International, a European buying group. 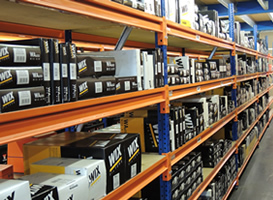 We carry a vast stock holding from some of the leading brands the Automotive Aftermarket has to offer. 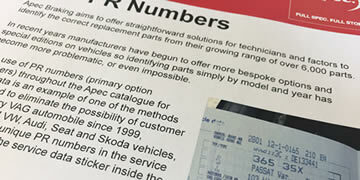 We are a member of the IFA which is one of the UK’s largest Motor Factor buying groups which enables us to buy our parts at the right prices as part of a bigger group. This enables us to be very competitive but also at the same time supply a top quality product to our customers. We strongly believe in employing the most experienced staff available, and to also train from the grassroots upwards to make sure that we continue now and into the future, supplying the best service, and enabling us to get the parts right first time.